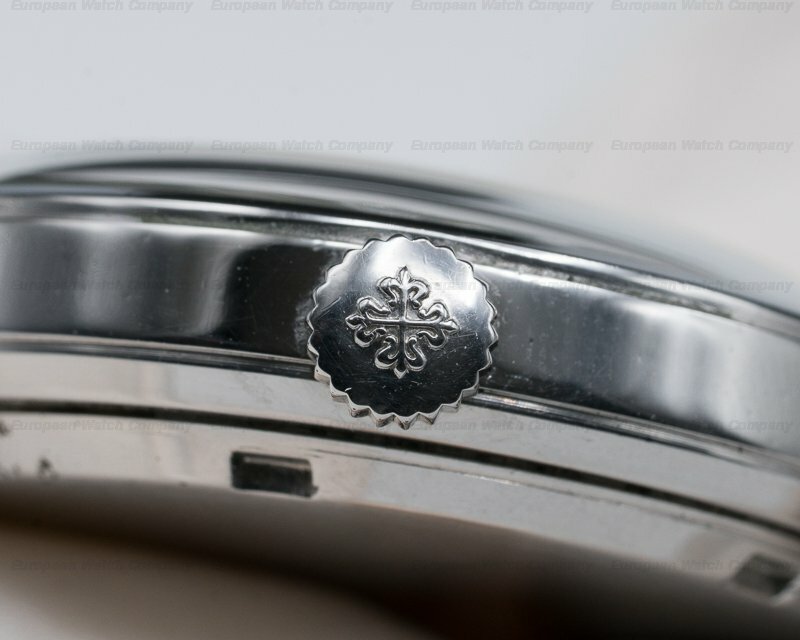 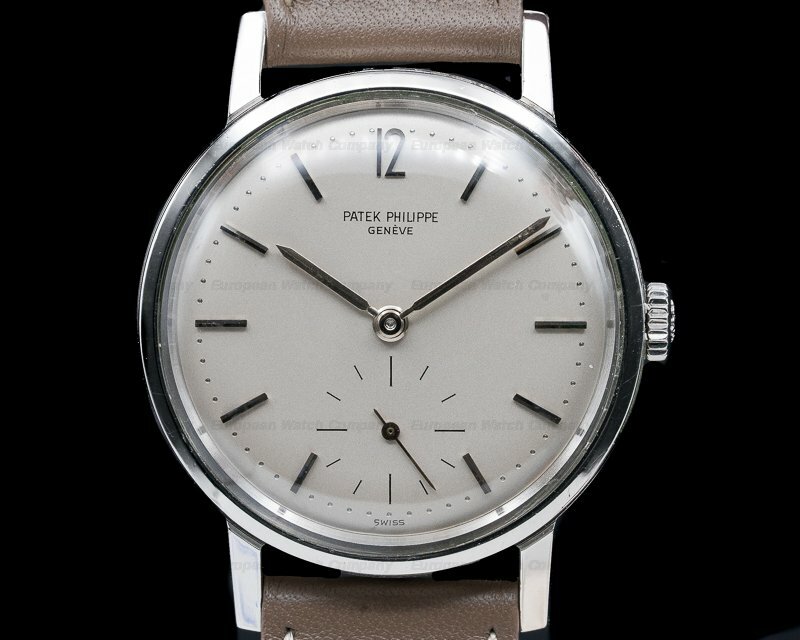 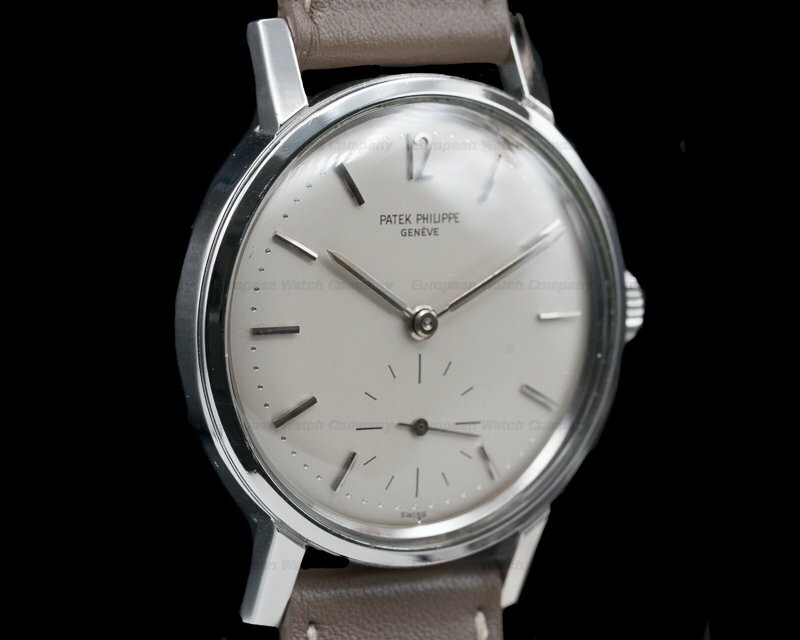 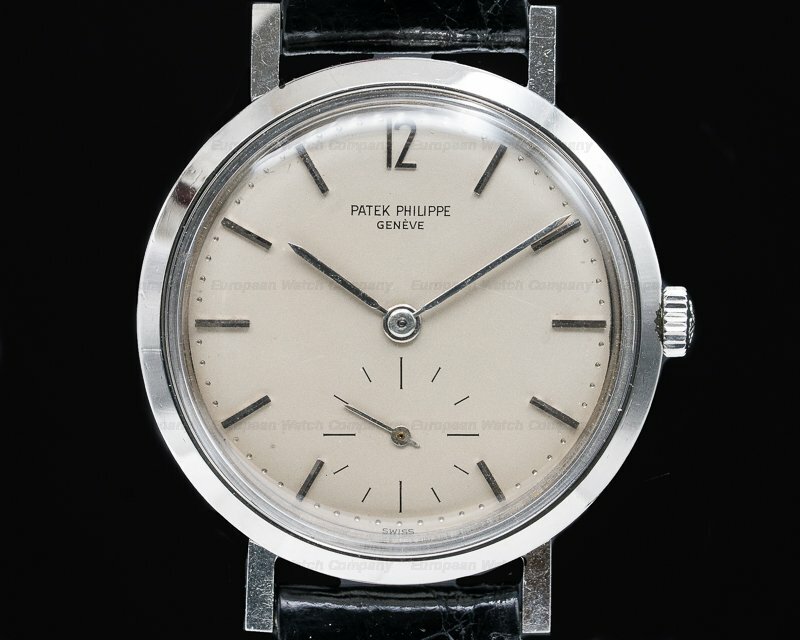 This is a vintage c. 1960's stainless steel Patek Philippe Vintage Calatrava Amagnetic, 3417. 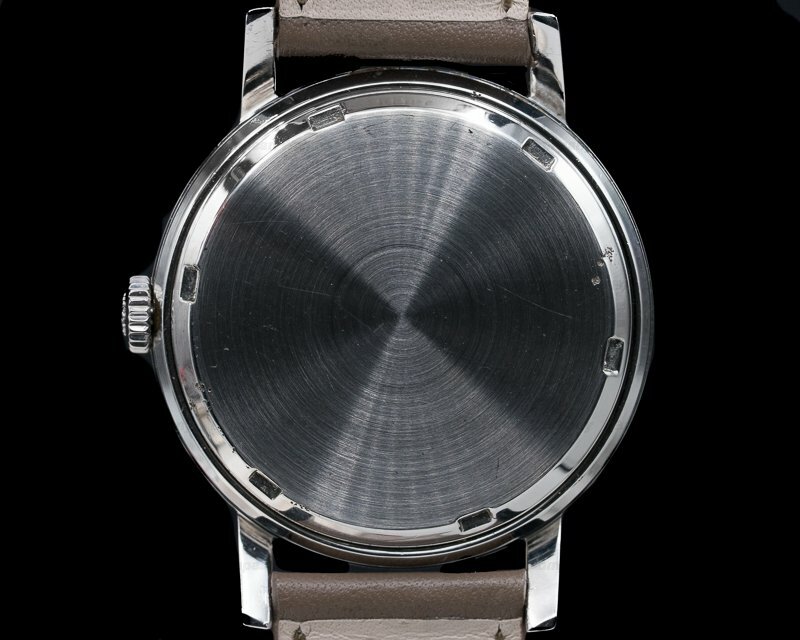 It has an alligator leather strap with a stainless steel tang buckle, and a plexiglass crystal. 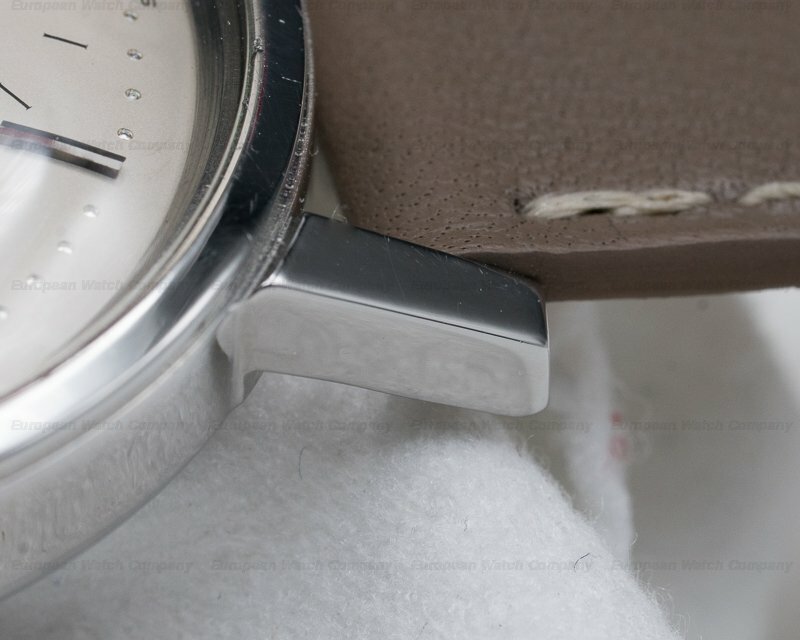 There is a screw-down solid case back with the original anti-magnetic dust cover. 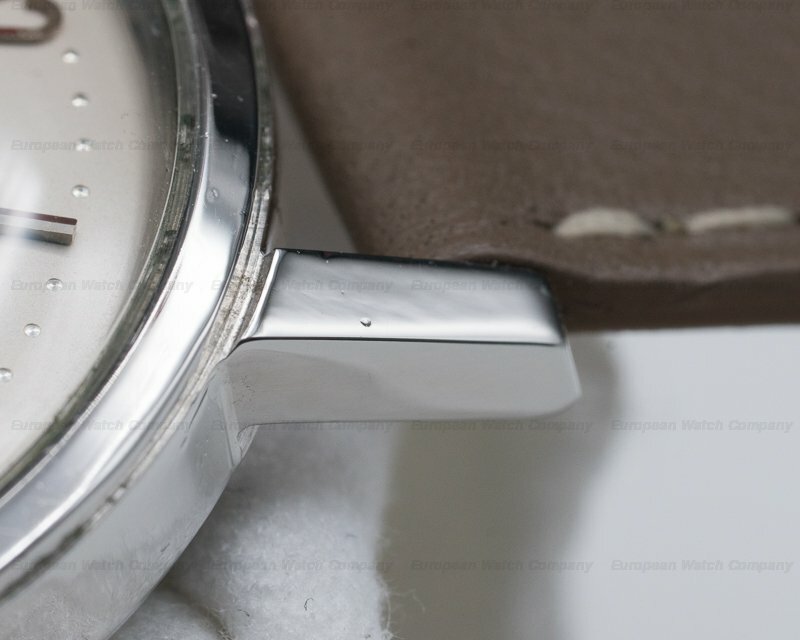 The 35mm diameter solid two-body circular water-resistant-type case, elongated angled lugs, and rounded bezel are polished. 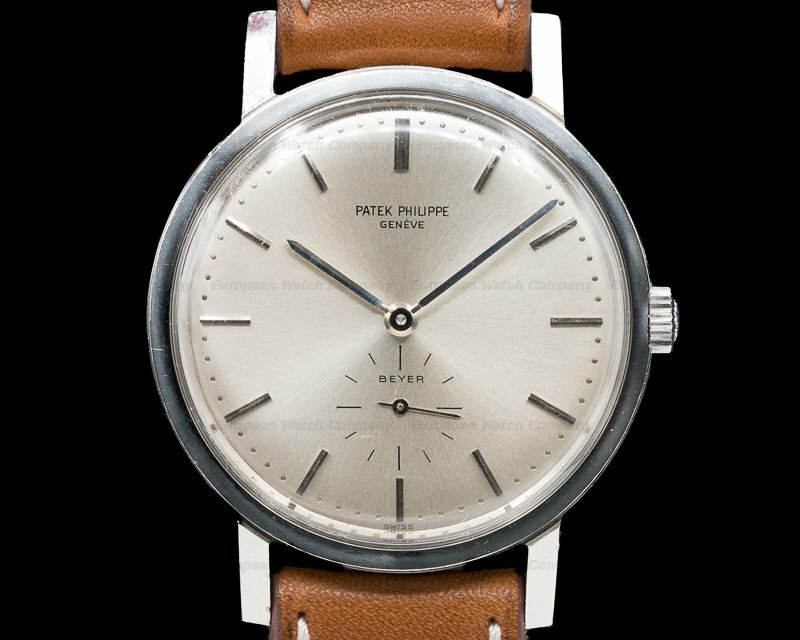 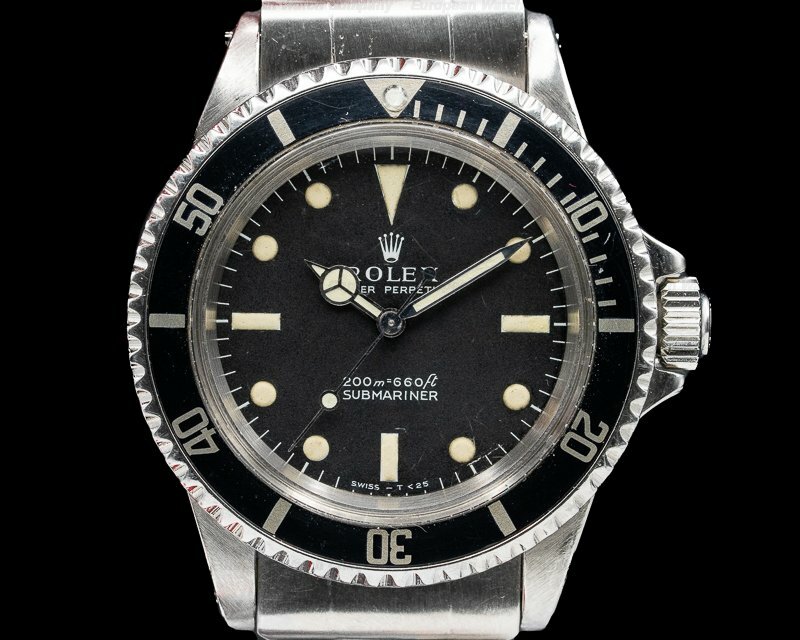 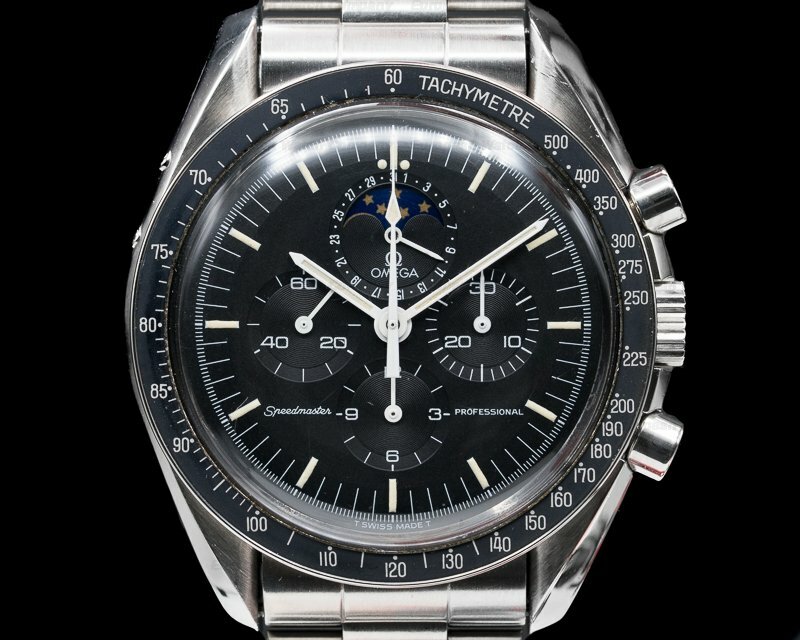 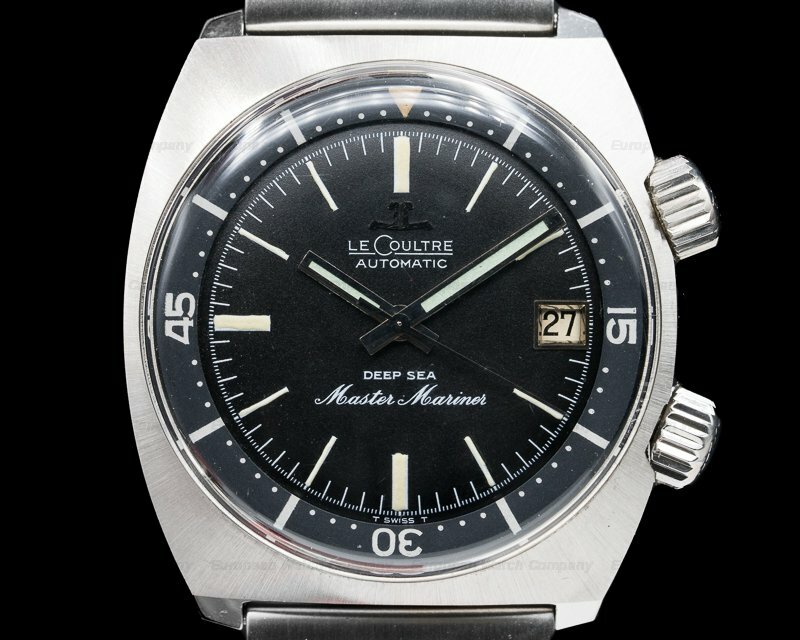 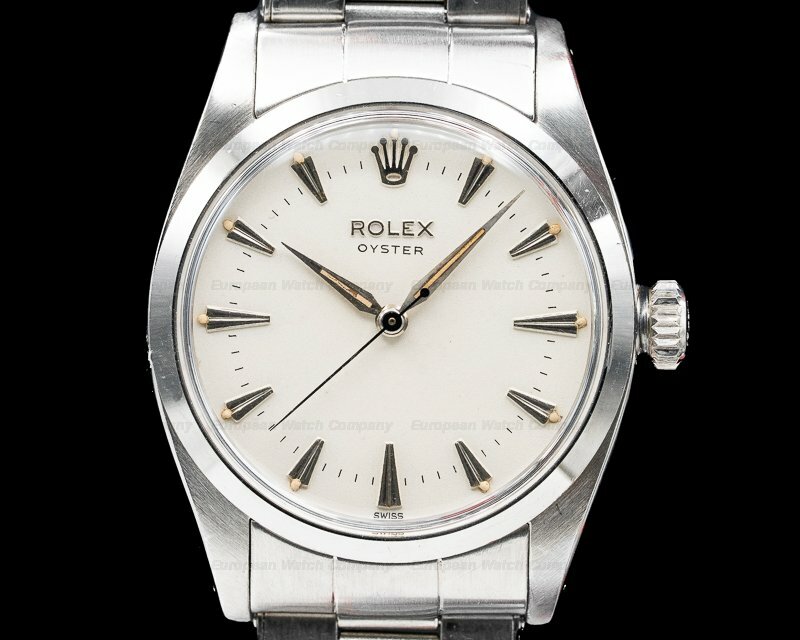 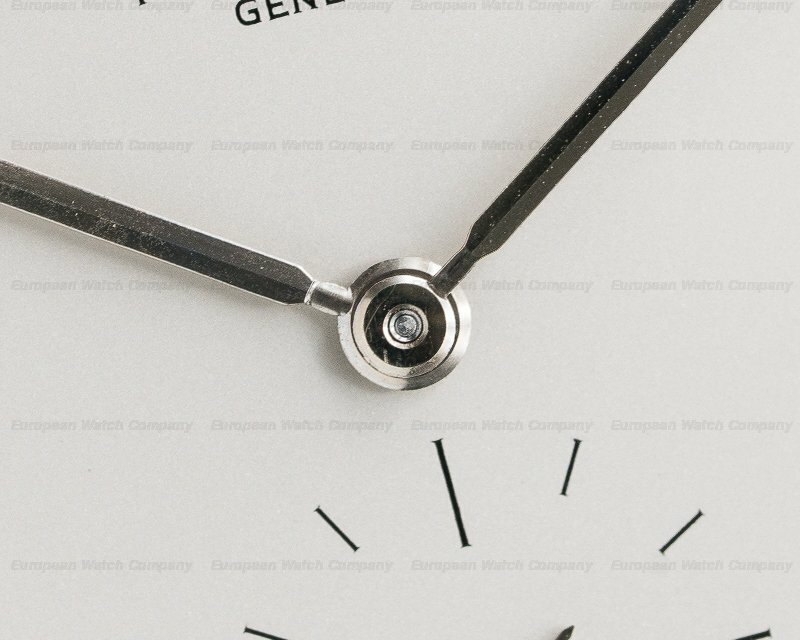 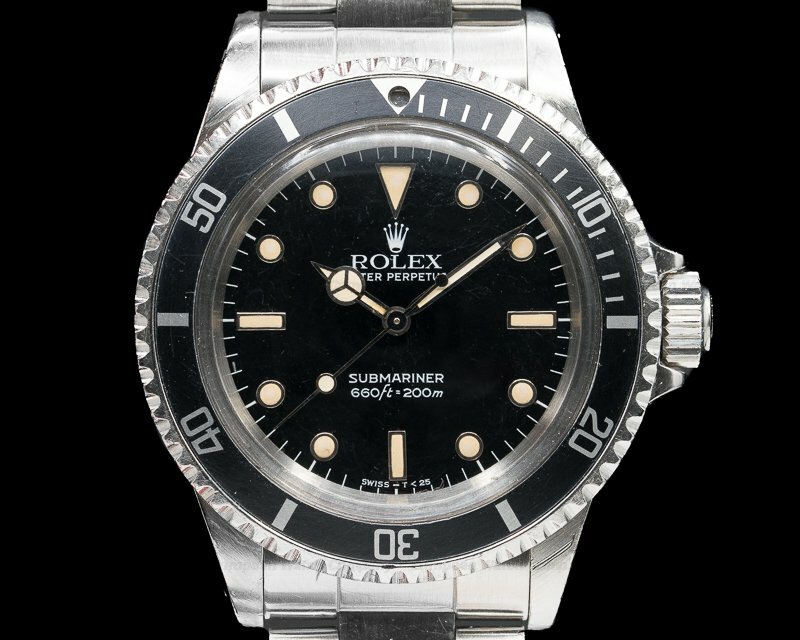 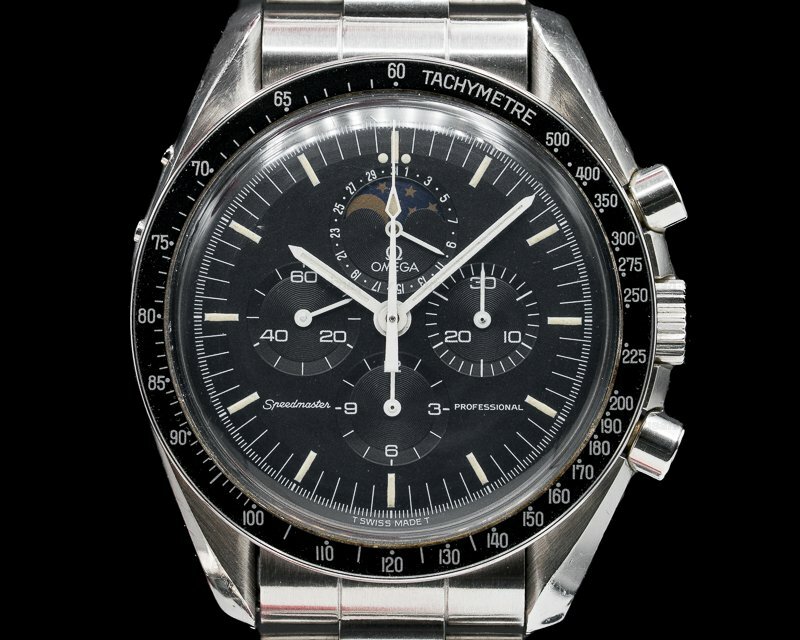 The silver dial is a rare variant that does not have the Amagnetic signature, giving it more of a dress watch look. 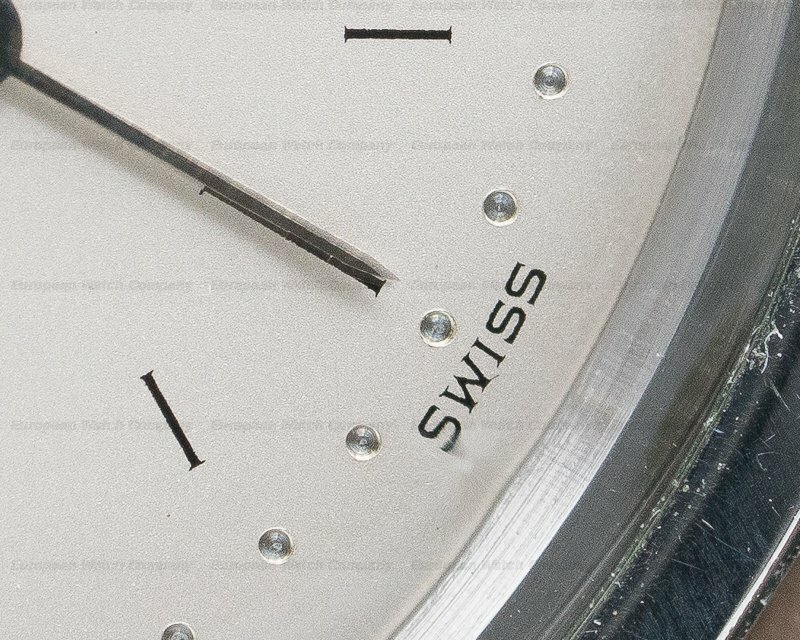 It has applied faceted baton hour index markers on a beaded dot minute track, with an Arabic numeral 12. 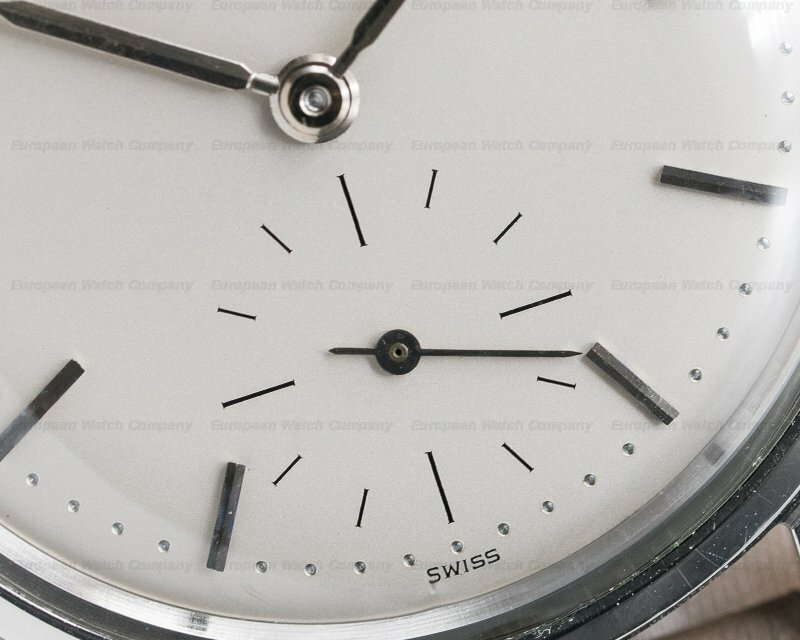 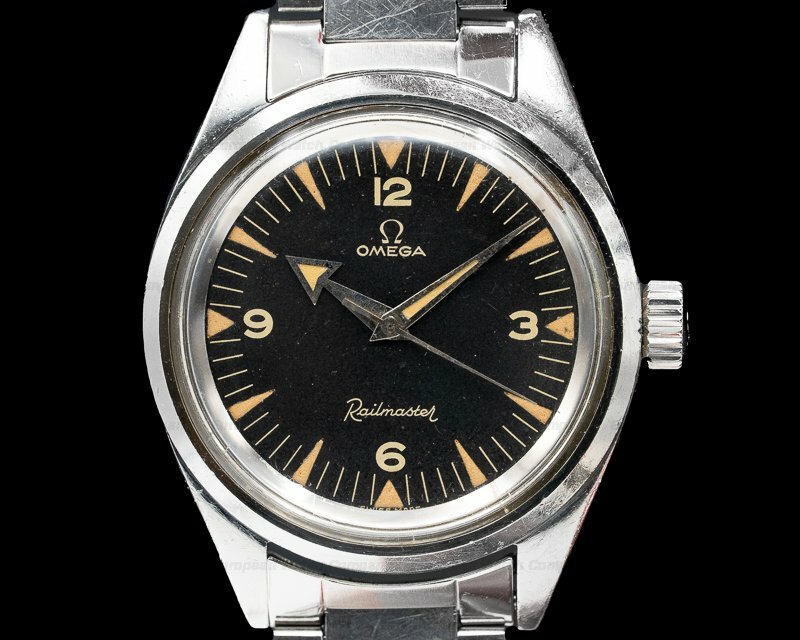 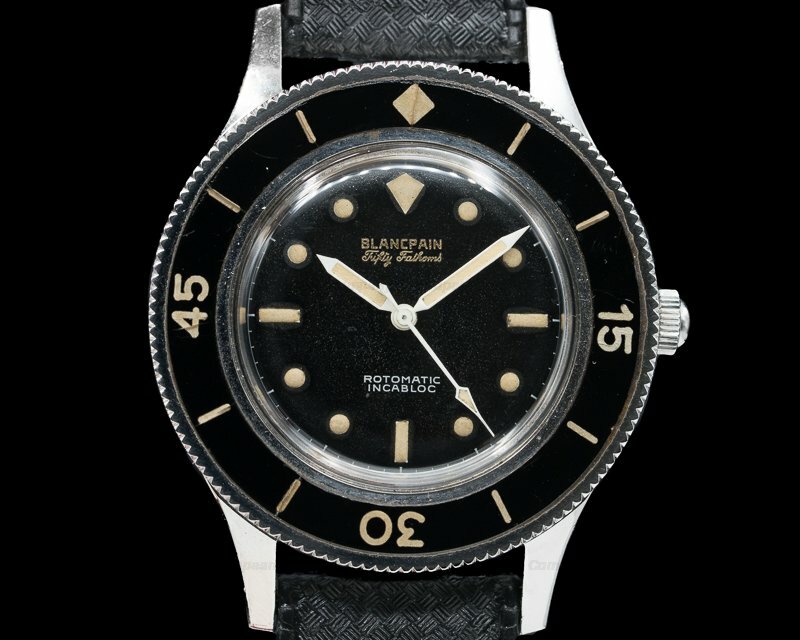 There is a constant seconds subsidiary dial at the 6 o'clock position, and the 10mm thick case, dial, and movement are all signed. 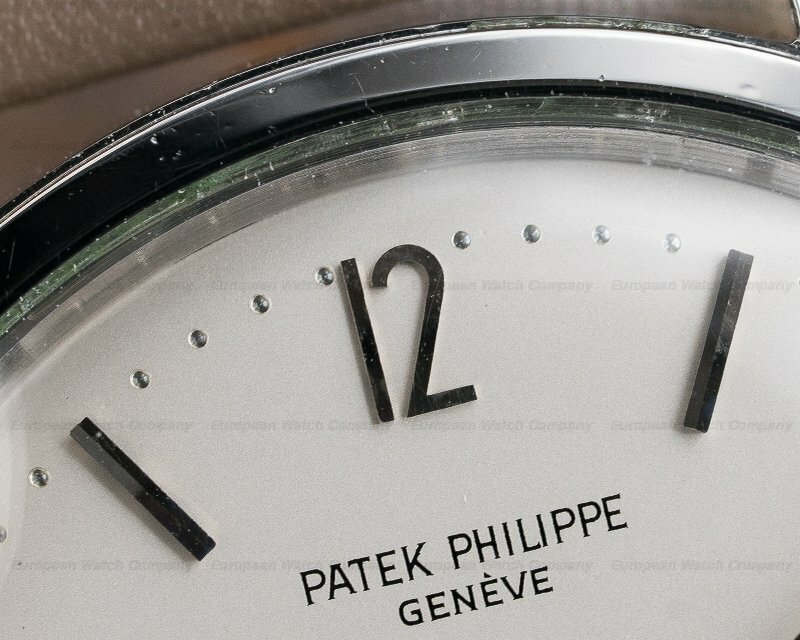 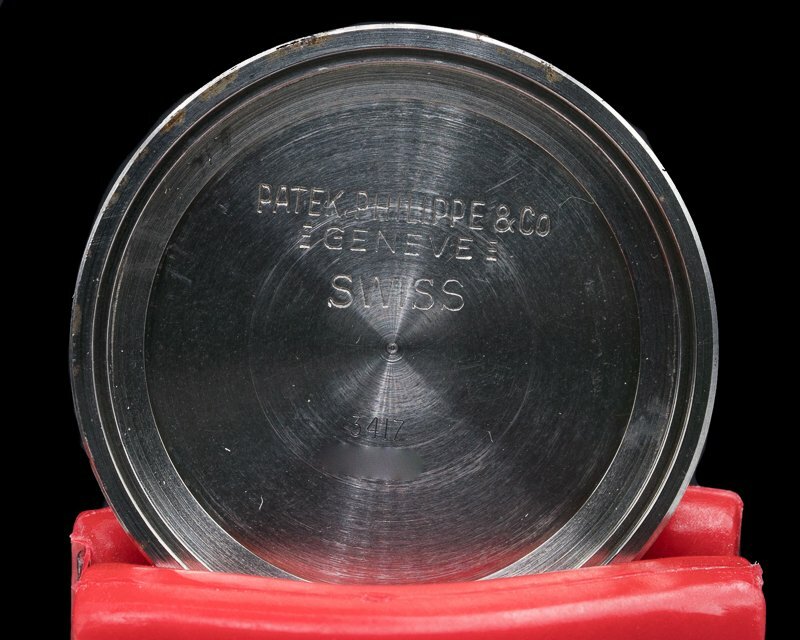 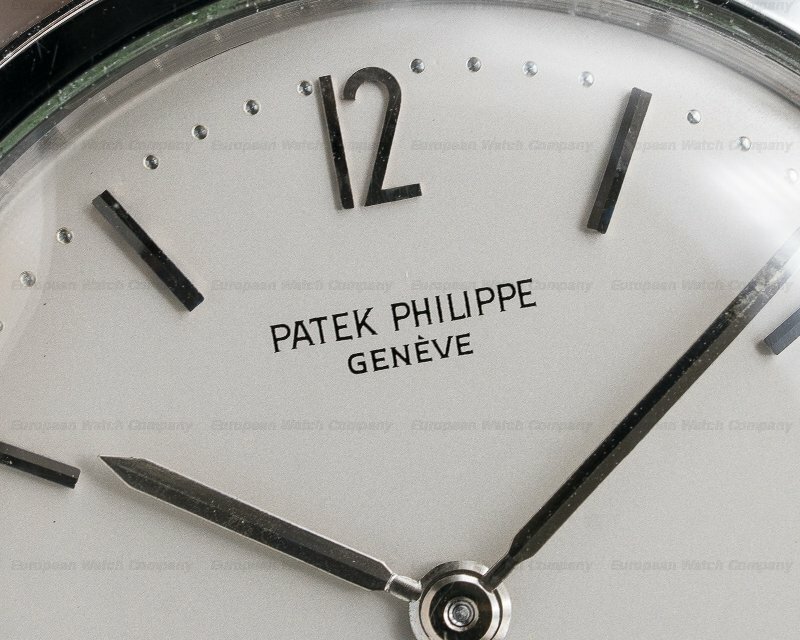 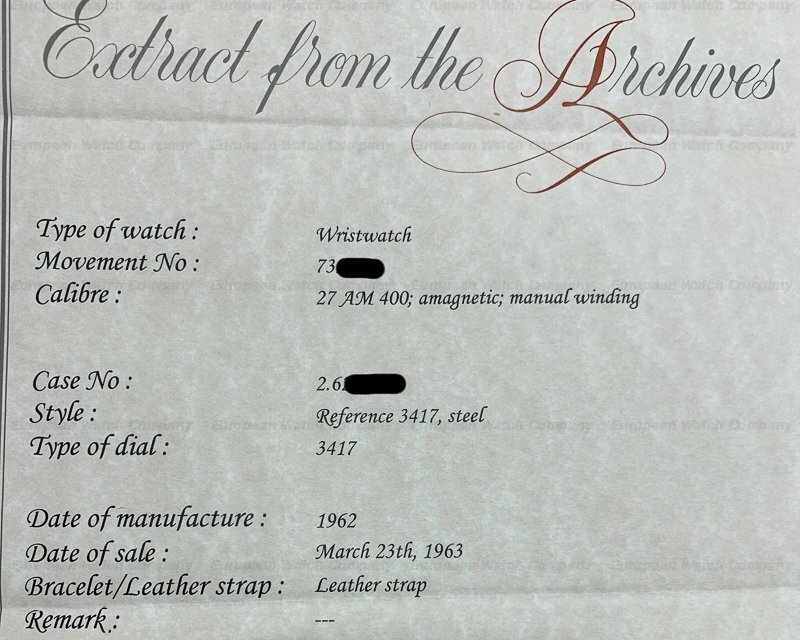 The mechanical manual winding Patek Philippe caliber 27AM-400 nickel-finished lever movement is anti-magnetic, and it's stamped twice with the Geneva seal as well as the mark of Patek Philippe. 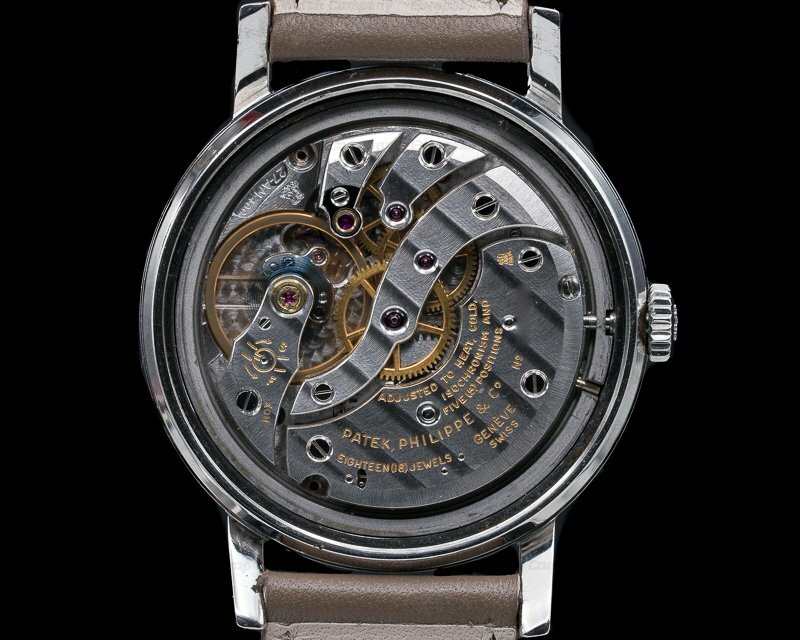 It's constructed with 18 jewels, a shock absorber mechanism, and a Gyromax balance that's adjusted to heat, cold, isochronism, and 5 positions. 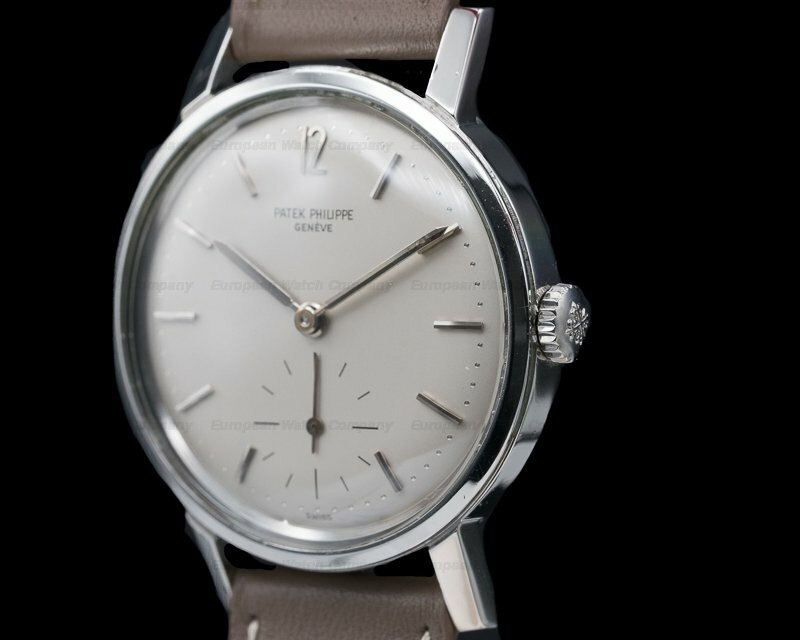 This rare Patek Philippe Calatrava Amagnetic, reference 3417, was Patek Philippe's version of the Rolex Milgauss and is quite rare. 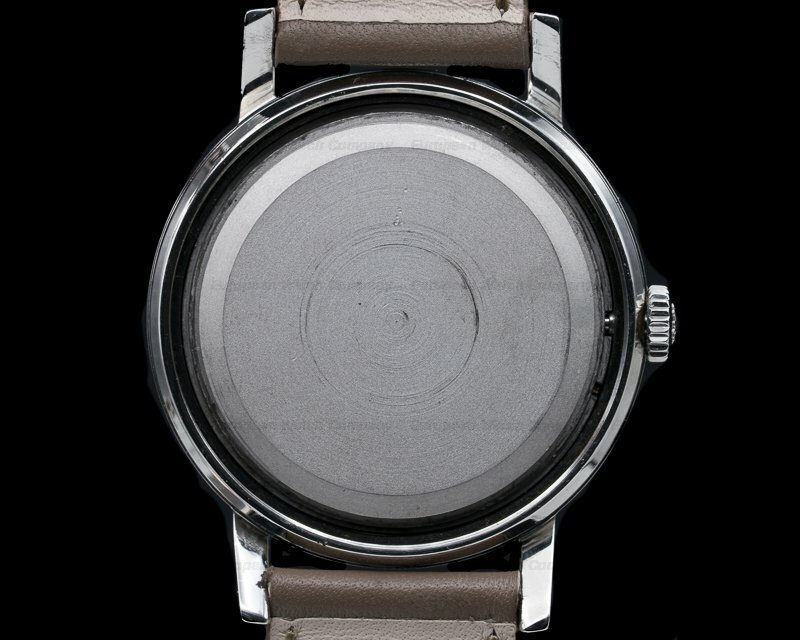 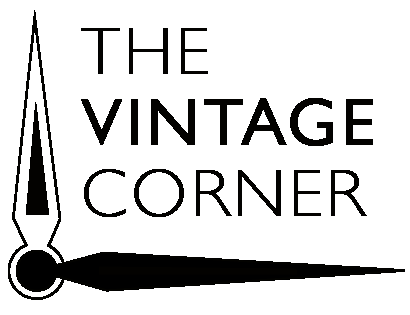 In the 1960's it was popular with scientists who worked in laboratories with magnetic fields.